Teachers Need An Idea For Finding A Job? 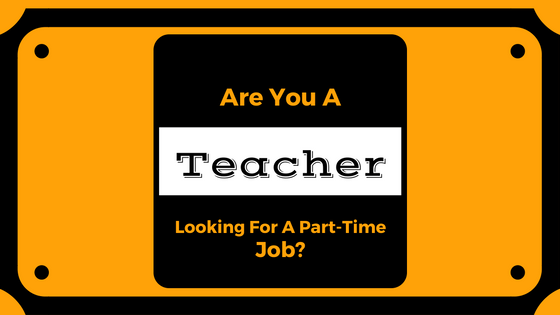 Are you a teacher looking for an excellent part-time job? Or are you looking to create a business online? I hope to point you in the direction of really good part-time jobs for teachers. Maybe a part-time job all year round, or just for the summer months, when most teachers have off. Doesn’t really matter–this will fit into any time frame. That’s one of the benefits of the system I am purposing. This system is totally flexible, and it actually works. Just explore it when you are able to. Of course, the more you work and the more time you spend on it, the faster you will see the results. I know teachers are considerably underpaid for the amount of work they do and for the responsibilities they are entrusted with to ensure the academic success of generations of students. The amount of stress sometimes is immense as well. No, I am not a teacher, but my wife was an English teacher for 13 years, in a small school district in Wisconsin. So many teachers in this state are suffering from the current Governor’s erosion of the teachers union, as far as raises and protection. Along with countless duties constantly added on top of a regular (intense) workload, teachers are having a much more difficult time finding and maintaining a decent living wage. It’s no wonder teachers are looking to supplement their income and having to find another part-time job. Also, fewer people are becoming teachers, and veteran teachers are leaving the field, particularly in Wisconsin. Some teachers also look for extra work during the summer months, accepting summer teaching jobs, and just wanting to continue working through June, July, and August. Others seek to unwind after an arduous nine-month stint of teaching. The job I am proposing you consider taking involves owning your own online business. If you want to truly make money, you must, in fact, own your own business, and be your own boss. You have full control over the amount of time contributed to the project and the direction of your website. With a summer investment and some time after that, you could have a stable business which generates money for you for years to come. Have an interest? Turn that interest into a business. It works simply like this. Pick a niche. Build a website. Attract traffic to your website. Earn money. So basically, you pick a niche on which to build a website. A niche can be anything. By picking a niche or passion, you should choose something you are genuinely excited about. Because the more you are into it, the less likely it seems like work, and it will keep you tapping the iPad ivories. Nobody wants to write or work on something that doesn’t spark something within them. Then build your website up with content (articles, pages, posts pertaining to your specific subject) to bring in traffic. Traffic is very important to generate clicks, and therefore, income. The more eyeballs, the better. You’re probably wondering…how do you make money doing that?? You make money through a system called affiliate marketing. Affiliate marketing is a process of promoting other people’s product while earning a commission or percentage of the sale each time a person clicks your special and unique link to your site and purchases a product. If you know (or don’t know) the proper way to build or even how to create content for a website, don’t worry. All of this and more is taught at Wealthy Affiliate. They teach you properly, through step-by-step lessons, which will get you learning and progressing at your own pace. Wealthy Affiliate simplifies the process so that ANYBODY can be successful at it. This needs to be stressed: YOU WILL NOT FIND A BETTER SYSTEM AT TEACHING YOU HOW TO BE SUCCESSFUL ONLINE, PERIOD. Not only is it the best system for learning affiliate marketing, but it also has the best community online. People are friendly, motivational, and helpful. They were once newbies themselves, and they know what it is like starting out, creating a website. For example, just ask any question, and within minutes, people within the community are helping you solve your issue. Try it out and see. It can seem overwhelming at first; seemingly like there is way too much to learn. However, step-by-step, you take one thing at a time, by just following the courses. Everybody helps each other out–this is promoted and rewarded at Wealthy Affiliate, via their ranking system. Wealthy Affiliate is an online university as well as a community that teaches affiliate marketing and also with full, comprehensive support. Support is so important in maintaining membership. Leave people in the dark, with no avenue for help, and watch them flee in droves. That is not a problem at all here. You will have multiple levels of support: the owners (Yes, you can ask them for help, and they will help you. ), the community, and just by the sheer amount of information available located in the search bar. Ask a question there, and someone probably has already answered it. You won’t be alone with your questions, or your answers. Wealthy Affiliate has been around since 2005–founded by two men, Kyle and Carson. It is not a get rich scheme. You are the investor–your own time and work produce the results. They train you and support you. You will not make money overnight, but it will happen if you stay the course. Trust me, this is the best system out there. You can read my full review of the WA here, which will go fully into all of the benefits Wealthy Affiliate Review. 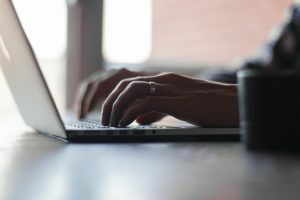 If you have concerns about joining Wealthy Affiliate, you can read my post on Concerns And Fears Of Joining Wealthy Affiliate. I highlight some of my own personal hang-ups with joining, and the determining factor of why I joined, and probably will be a member of Wealthy Affiliate for the rest of my life. This is my #1 Recommended way to make money online. A Free Membership – For the initial first seven days of joining, you will have premium access to explore everything in WA and see if this shoe fits you. Take advantage of this and explore. A Premium Membership – This cost $47.00 a month. All the training and support to get you earning. Unlimited websites, free hosting, free keyword research and much more. Everyone knows teachers are extremely busy during the school year, but most teachers get the summer off. Summer vacation, a full two-three months off. If you are serious about creating a business that will generate income, those three months could really accelerate your business, if you spent, say, forty hours a week building and creating your own online website. You would have a pretty solid foundation in no time. Then, possibly work on it when you could during the school year. It is really doable. I worked two jobs for eight months and still had time to create this website and most of its content. I was extremely motivated and got it done. You could do it, too. Making the website is the easy part; adding good quality content consistently is the challenge. Let’s face it, teachers are dedicated and not often rewarded enough for this dedication. Teachers are also tough. They’ve studied, gone to college, probably had a part-time job while in school, graduated, and attained a prestigious teaching job that has tons of daily responsibilities. Surviving and flourishing through those previously mentioned major ordeals is tough. I couldn’t even finish college myself, but respect the hell out of people who have. Affiliate marketing would be a walk in the park for most teachers. Although affiliate marketing can be done by just about anyone with the drive to do so. However, with teachers you get an educated person with dedication and mental toughness; that is hard to beat. Every teaching subject, whatever you teach, could be applied to a specific niche if you wanted, or just to help with the content, or the use of correct grammar, punctuation, etc. You can use what you know, as this is the benefit of being educated. The other beauty of picking a niche is you pick something you love doing. We have all heard the saying, “Do what you love, and the money will follow“. Keep in mind these are just examples, and you can design a website based on anything you want or are passionate about. These are just to get you thinking. Gym Teacher – Writing about specific sports techniques, or having a review site on sporting equipment, fitness website, specific exercise for increasing performance in blank sport. English Teacher – Editing website, tips on writing website, book review website. History Teacher – History book review website, travel to historical places website, a history podcast site. Health Teacher – Health & Diet website, Supplement website. If you are interested in creating your own website that generates money, I would highly recommend you at least check out the free membership offered at Wealthy Affiliate. You don’t need to enter any credit card information, just your name and email to check it out. Once you are in Wealthy Affiliate, you should fill out your profile with a little information about yourself, along with uploading a picture of yourself. This will allow people to more easily converse with you. If it is blank, people think the profile is empty, and nobody is around. Furthermore, create some info, and watch people converse, offer help, and introduce themselves and welcome you. I will also be there to greet you, and help you whenever you need it. This company is all about supporting each other, much the same as teachers helping their students. If you have any comments or questions, I would love to hear them. Please do so below. Thanks!